EXETER shoppers will have the chance to find out about Cancer Research UK’s Race for Life as the charity visits the Princesshay Shopping Centre this Saturday (22 April). A team of volunteers and event managers will be promoting the local Race for Life events at Westpoint which take place on Saturday 22 and Sunday 23 July. They will be supported by Exeter Starlites cheerleading squad who will be performing at the Race for Life events later this summer. Organisers hope the performance will stop shoppers in their tracks and encourage passing mums, daughters, sisters and friends to sign up and help make a real difference in the fight against cancer. They will also be on hand to answer questions about fundraising and the impressive strides Cancer Research UK scientists are making to treat, diagnose and prevent cancer. Race for Life’s Exeter event manager Ruth Chamings said: “Life-saving research is being funded right now thanks to the women of Exeter running, jogging or walking at Race for Life. 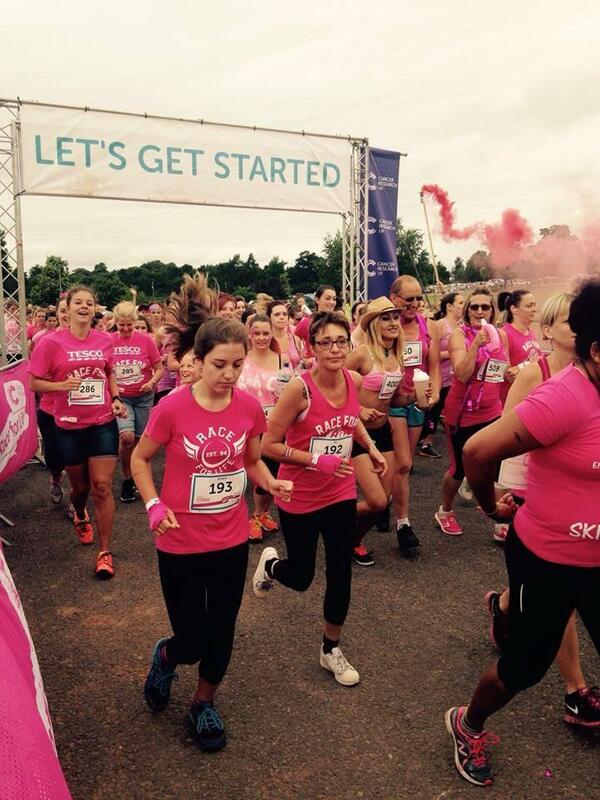 Cancer Research UK’s Race for Life, in partnership with Tesco, is an inspiring women-only series of 5k, 10k, Pretty Muddy, Marathon and Hiking events which raises millions of pounds every year to help beat cancer sooner by funding vital research. Ruth said: “By taking part in Race for Life, women in Exeter can help raise funds for crucial research.